Chronic lower respiratory tract diseases may be triggered by infectious causes (bacterial, parasitic, viral) but are usually allergic and inflammatory conditions, the advanced stage of which is often called heaves. Reactive Airway Disease (RAD), small airway inflammatory disease, lower respiratory tract inflammation, and inflammatory airway disease all have a similar clinical presentation. Usually there is a persistent cough that is aggravated by, and interferes with, training. Nasal discharge, decreased performance, excessive mucus in the nasopharyngeal region and trachea as visualized with bronchoscopy, and evidence of airway inflammation on bronchoalveolar lavage (BAL) generally accompany the cough. 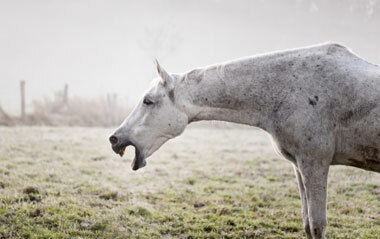 Many horses display tachypnea or dyspnea of varying degrees, and likely have abnormal lung sounds on routine auscultation. Natural treatments reduce airway inflammation and reactivity. Dry airways can be moistened and excessive mucous production can be reduced. The following nutraceuticals or natural/herbal formulas can also provide effective treatment for your equines living with Reactive Airway Disease or COPD. 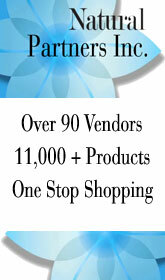 » Remove all the items that seem to be the cause (or trigger) of an allergic reaction. » Keep the stable environment clean and both dust and mold-free. » Whenever possible, allow the horse to access pasture rather than hay. If the horse cannot be out pasture all day, turning him out for several hours each day will help reduce the severity of any future heave attacks. » Make your barn bird-proof. » If possible, keep susceptible horses in open air shades, or in well-ventilated stalls. » Switch to a low-dust bedding (i.e., pelleted cardboard). » Only feed good hay which has been soaked (for several hours) before feeding to help minimize the chances of a heaves attack. 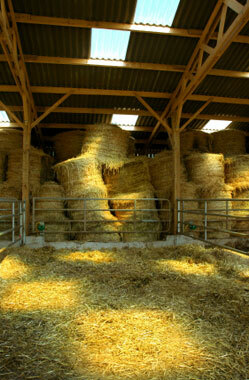 » In the absence of good hay, use a hay pellet or pelleted complete feed (rather than loose grain). » Feed the horse from the floor to help drain any mucus from the trachea. Managing Reactive Airway Disease also includes the correct and consistent administration of proper medication to help reduce inflammation and clear the mucus. The two types of medication most commonly prescribed for horses with COPD/RAD are corticosteroids and bronchodilators. Corticosteroids reduce the severity of inflammation (and the subsequent excess production of mucus). Bronchodilators help to relax the muscles around the airway passage making it easier for the animal to breath. Prednisone may also be administered, starting with a priming dose and then weaning down to either lower doses or completely off the drug. Prednisone reduces inflammation, aids in healing (not curing) and appears to decrease allergic reactions. Antibiotics may also be administered to prevent bacterial infections from settling into the weakened lungs. None of these medications can cure COPD/RAD - they only alleviate the severity of the symptoms. Side effects include nausea, diarrhea, irritated throat, dry mouth, increased appetite and weight gain, laminitis, nervousness and anxiety. Additional and more severe side effects may be realized after prolonged use. Traditionally, these medications have been administered by injection and through the mouth. However, recently a new way of administering the medication by inhalation has been developed. The following nutraceuticals or natural/herbal formulas can also provide effective treatment for equines living with COPD/RAO. This disease is not curable; any treatment (herbal or medicinal) will only help to reduce the severity and frequency of the attacks. » Marshmallow: Soothing to the respiratory tract; relieves coughing due to irritation; relieves dry coughs by moistening the airways with a mucilaginous material. » Garlic: A natural anti-inflammatory which decreases swelling in the horse’s airways. 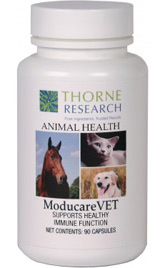 It can also help stimulate your equine’s appetite (some horses lose weight and lack energy). Freshly-grown, minced garlic works best. Recommended daily dosage is ½ ounce to 2 ounces depending on body weight. 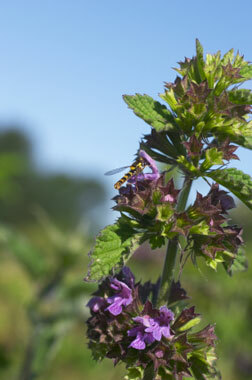 » Horehound: Acts as a natural expectorant to remove mucus from the air passages. The fluid extracted from the thistle plant is dropped into the horse’s food with an eyedropper. » Eyebright: Usually considered for treating the eyes, but is also an excellent anti-inflammatory for the mucous membranes of the nose and respiratory tract. Background: Both conditions are manifestations of an immune system over-reactive to allergens. The allergens may include dusts, molds, pollens or even food, and may vary from seasonal to year-round, often progressing in duration and severity as the horse ages. 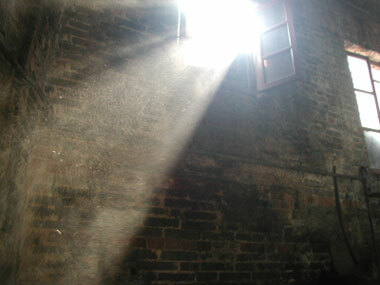 Dusty barns and moldy hay are important trigger factors. These conditions may develop following a viral infection. Symptoms: Restricted air exchange within the lungs and resultant dyspnea. Include coughing, heaving, wheezing and increased respiratory congestion and secretion. Diagnostics: Physical exam, lung function tests. Special Notes: Performance horses are greatly impaired by this condition and may lose their ability to work. Principles for Supplementation: Regulate immune system and relieve respiratory symptoms. Enhances the immune system, supplies bioactive proteins, immunoglobulins and peptides. Is a cofactor for dozens of enzymes involved in detoxification, improves pulmonary health, immune function. May help prevent bleeding from the lungs during high-speed sports by helping dry, irritated airways. If dry cough (COPD) is present, improves airway function. Down-regulates the pro-inflammatory substances, tumor necrosis factor, alpha (TNF-α) and nuclear factor-kappaB (NF-κB), supports normal respiratory function.